Spring & One Off Cleaning Haringey N | From £15/h! Perhaps your property doesn’t require regular cleaning, or perhaps you just need someone to relieve the burden of home cleaning chores, so you can have time for your personal business or relaxation. 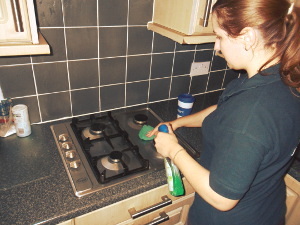 At One off cleaning Haringey N , our professional cleaners are committed to helping you in any way they can! There will be occasions when you need extra help in your home with a one-off clean. This could be for a spring clean, an end of tenancy clean, after building work clean or an after-party tidying. One off house cleaning Haringey N janitorial and cleaning services can consist of anything from window and carpet cleaning to one-off deep cleans. Keeping our customers satisfied is our main priority. To do this, we make sure we provide meticulous cleaning services and always try to cover as much from the area that needs to be cleaned as it is possible for the time scheduled. In order to get a better overall picture of our one-off cleaning Haringey N, we will provide you with a detailed cleaning checklist. One of the first things is to fully inspect your place and what the team is going to clean. We want to make sure that the time set is going to be enough. Some surfaces are delicate or require a huge amount of time. RDA Cleaning & Maintenance Ltd. will suggest the best possible cleaning scenario depending on your requirements, of course. Any advice of yours is welcomed. By giving the cleaners a priority cleaning list you will ease the working process. We will help you with that. The specialists know the needed cleaning time for many appliances. The cleaning checklist is also on the table simply because we want to meet your expectations in the best possible way.